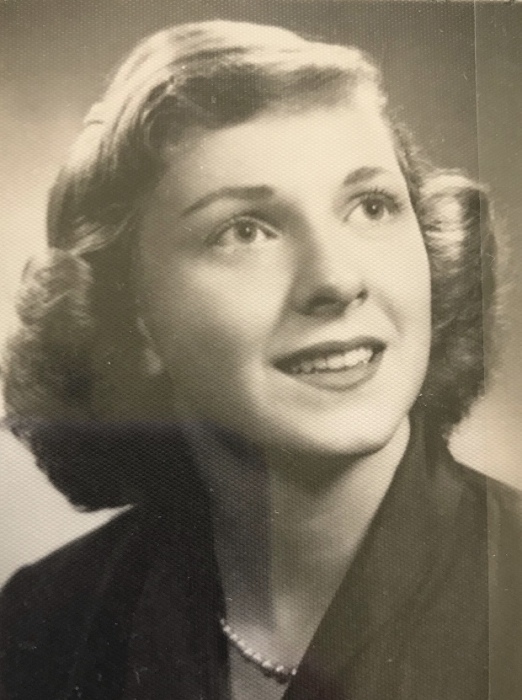 Joanna Mae Brinkley born July 2, 1932 in South Bend IN to Roland and Johanna (Toth) Kreps, Joanna (Ann) died on March 29, 2019. She was preceded in death by her parents and her brother, Dr. Roland Kreps Jr, MD. On August 9, 1959 she married George A Brinkley Jr, retired professor from Notre Dame, who survives, and a daughter Heidi Ann (Adolph) Stephens, and a grandson, Jordan Ramos, of Youngsville NC and several cousins, nephews and nieces. Ann worked for the FBI in her younger years, becoming a freelance writer with feature articles published in local, regional and international periodicals. In 1963 she wrote a series of articles for the South Bend Tribune entitled “Hoosier in Moscow” from experiences during the year that she and her husband lived in Russia, which included the Cuban Missile Crisis. A second series, “Return to Moscow” was published in 1969. Ann was a member of First United Methodist Church, URC of St. Joe County, Historic Landmarks Foundation, Ladies of Notre Dame/St. Mary's, and OES Rose Croix 569. Ann was a wonderful wife and mother and an inspiring partner in the adventures of exploring foreign lands. Her family and friends remember and celebrate her life, her love and her gifts.